Since Westwind was relaunched 10 or 11 years ago she has not had a lot of rest. Her new custodians have driven her and been driven by her from latitudes 10 degrees to latitudes 43. Anyhow, I think when a boat is idle she is not resting she is sulking. The boat may not have a soul, that is possibly fanciful, but she certainly has a presence, an attitude. 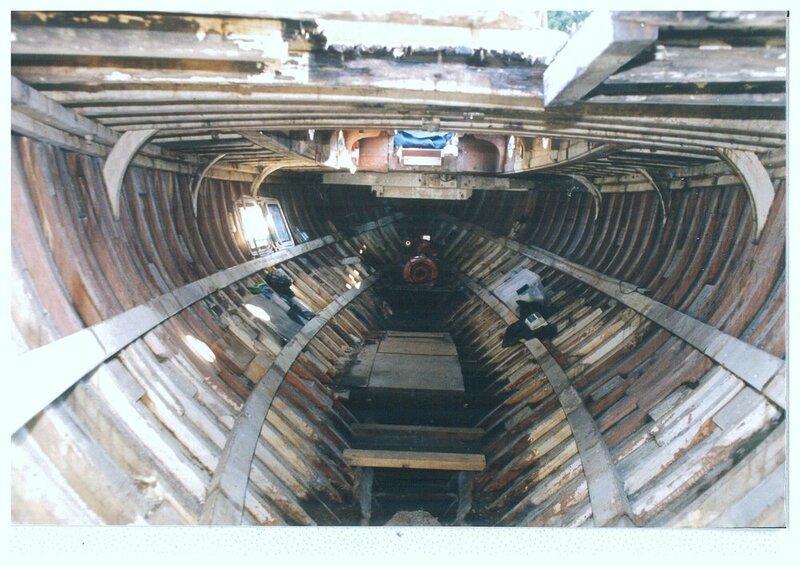 20 years ago, after the archaeological deconstruction had already began, I sat in the bilge of Westwind covered in the dross and grime of years of sad neglect and thought ' here is a boat I could really love'. 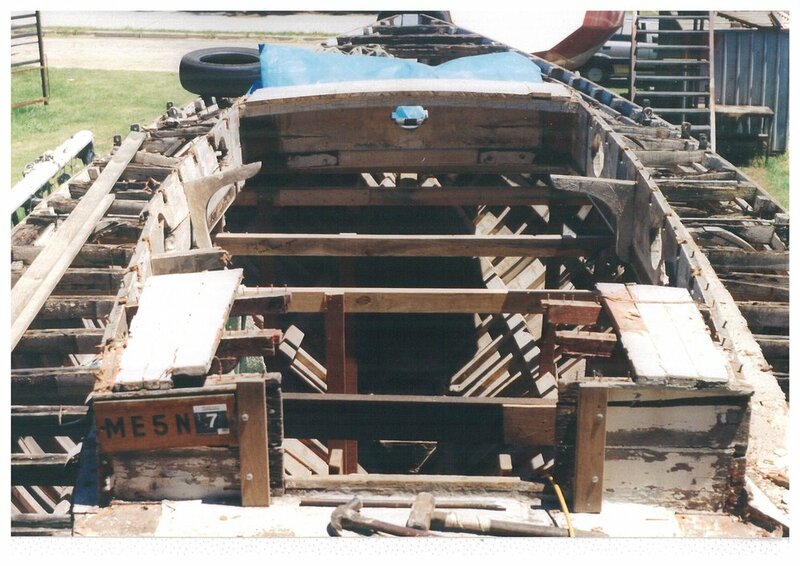 After an eight-year rebuild she is a good strong boat again. 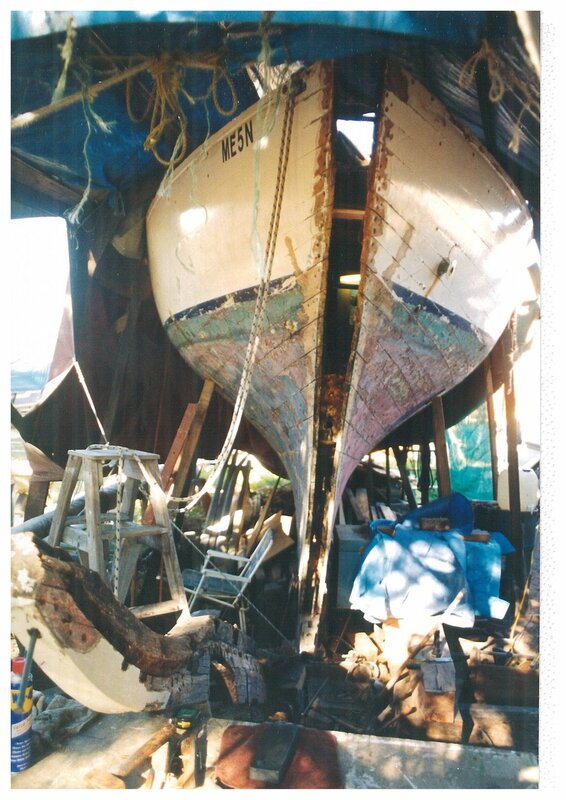 She was built by Jock Muir over a two year period in his parents back yard at Battery Point, Hobart and launched in 1937; 36'x11'x6'6”, planks and ribs are huon pine. She was originally a ketch but now sails very well as a cutter. We had completed our third trip from Cairns to Hobart for the Australian Wooden Boat Festival and spent time down channel as far as Recherche Bay, crossing Storm Bay to Port Arthur then up the east coast of Tassie and west coast of Flinders Island and onto Deal Island in the Kent Group. Deal was on our bucket list and we were blessed with a week of good weather. We left Deal with a falling barometer but a reasonable forecast, we must have missed the small print because we did get a bit of a blow. We had already decided to sail due north to Lakes Entrance where we arrived some seven hours before daylight. Here was an interesting study as we hove to under a double reefed mainsl' with the tiller lashed to leeward about 3 miles off the entrance in the dying breeze. We scribed an almost perfect circle about 1 mile across as the wind went around the compass. Daylight and we entered this amazing waterway for the first time. It was a long weekend and perfect weather so Lakes Entrance was buzzing, there was simply nowhere to tie up so we thought we might go ' further up'. We could not believe what opened up before us and then there was Paynesville. We have always said we would sail around until we found a place where the soil was good and the people were friendly and always thought this would be in the tropics. Those winds of fate kept us in the lakes for 2 weeks, long enough to be embraced by the Paynesville people and the charm of the lakes. We have made Cairns our base for almost 7 years but insisted that we were only passing through. The Louisiades archipelago, in PNG is on our doorstep only 500 miles across the Coral Sea and the Solomons only another 200 miles further and we sailed there three times. The reef is half a day sail away and Westwind would often be anchored behind a favourite cay. The winter temperatures in Cairns can get down below 20 degrees and the days only reaching 24 or 25, so bring warm clothes we tell people visiting from south! Whenever there is a major decision to be made we sit propped up in our cozy fore cabin with paper and clipboard passing fors and againsts, to and fro. This time it would be a big decision indeed; to move from the far northern tropics to the far southern not tropics and what's more to move ashore after 12 years of living afloat. We did sail back to Cairns to fulfill commitments but not before anchoring ourselves to a few acres at Newlands Arm, near Paynesville. We look forward to being part of your friendly community.